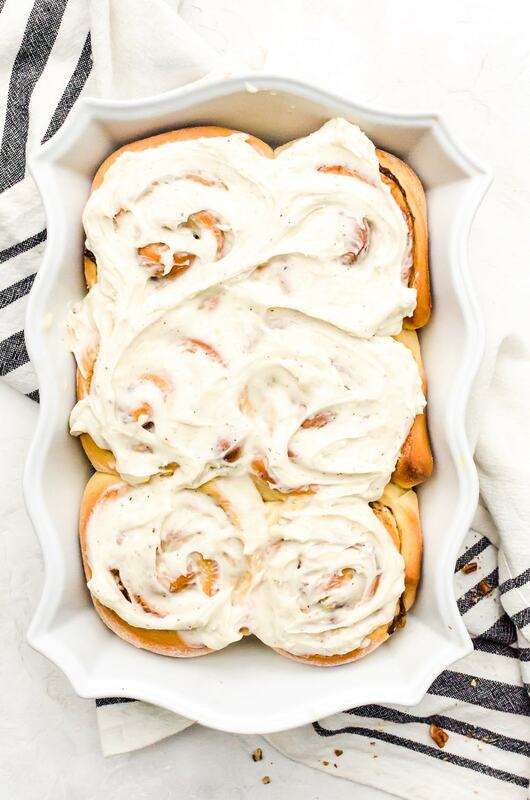 Fluffy banana cinnamon rolls topped with a brown butter cream cheese icing. The perfect way to start your weekend baking. This post was sponsored by Glad Products Company. Thank you for supporting brands I love! 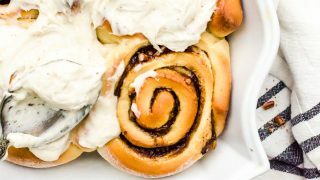 There is nothing as good as biting into a soft, fluffy swirl of bread with cinnamon and sweet cream cheese icing. 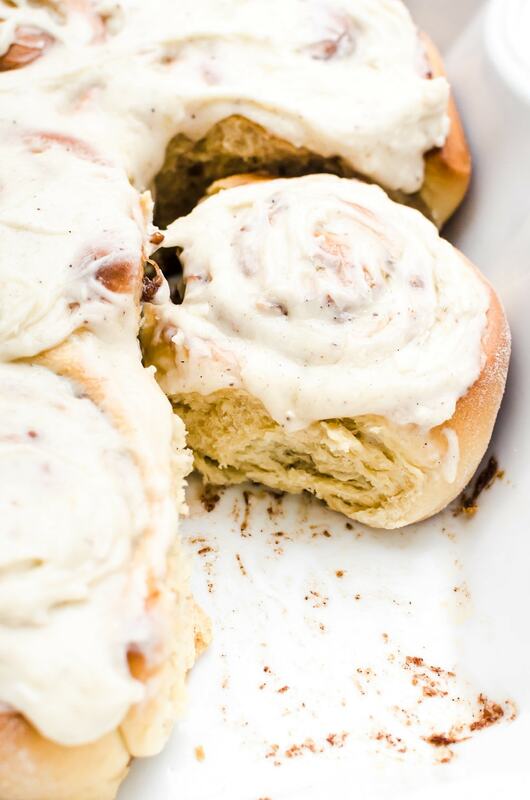 Cinnamon rolls are why we invented the weekend. 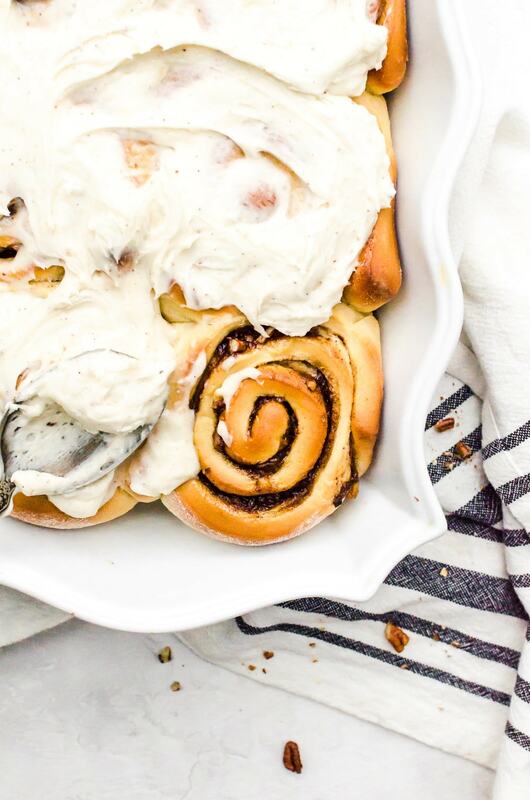 These particular cinnamon rolls are way more than your average roll. They are stuffed with bananas and nuts, then topped with the most insane brown butter cream cheese icing. And if you want to take it to yet another level… toss in a small handful of chopped chocolate. Seriously, it’s like cinnamon roll heaven. Add in some OJ, a couple of slices of bacon, and you’ve got the best breakfast within a 30-mile radius. Anyone who’s ever been afraid of making cinnamon rolls from scratch, fear not. It really isn’t hard. Yeast dough is really forgiving to mistakes as long as the yeast you use is active. Not sure if it’s active? You will know once you’ve added it to the warm milk. After a few minutes, you should see some foam covering the top. No foam means you need to start again with new yeast. If you don’t have a mixer, or one with a dough hook, you can totally knead the dough with your hands. It’s just a matter of folding and beating up the dough until it becomes soft and stretchy. 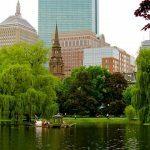 It’s the perfect time to let out any frustrations from the past week! 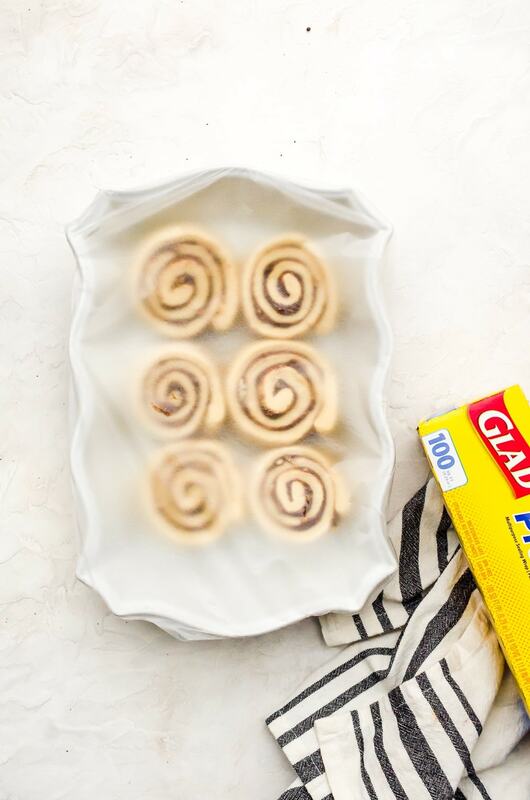 I like to use the Glad® Press’n Seal® I purchase at Target when proofing my dough for the cinnamon rolls. It sticks to almost any surface and creates the perfect seal so the kids or cat don’t accidentally pull down something like a tea towel. I also prefer it over plastic wrap when I do an overnight proof in the refrigerator. We don’t always eat a whole pan of banana cinnamon rolls in one go. So, when I make a batch, I will sometimes freeze the rolls. 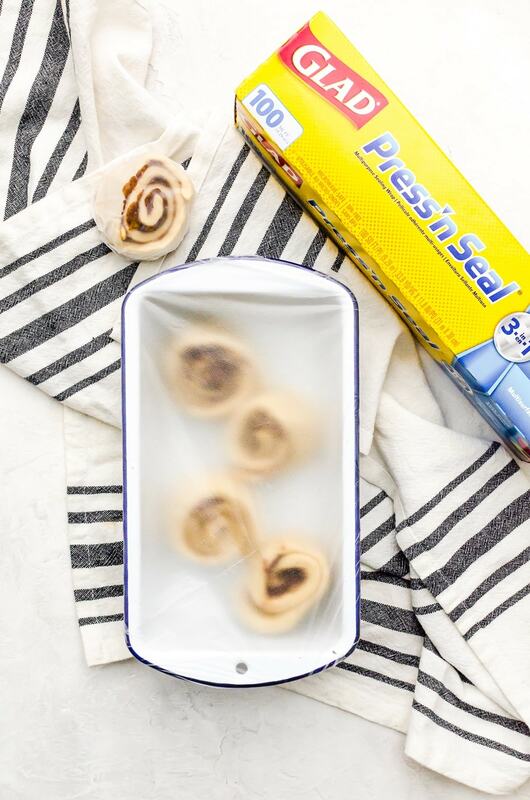 Pro tip: You can use Glad Press’n Seal found here at Target to wrap individual cinnamon rolls. Glad Press’n Seal is BPA-free and microwave safe, so you can grab and reheat the exact number you want. Which means, yeah, we can get ourselves just one or two rolls without having to commit to a bunch of them. Yes, please. You can freeze the banana cinnamon rolls either baked or unbaked, depending on your preference. 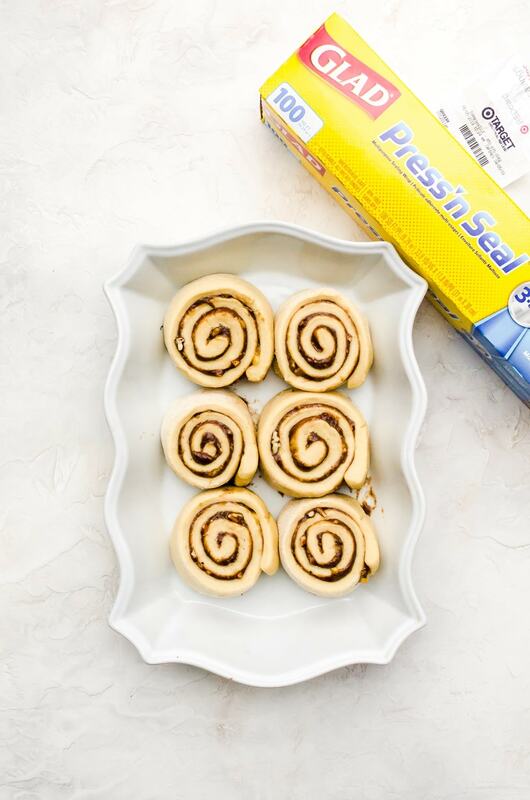 The Press’n Seal makes sure that your rolls don’t dry out or suffer from freezer burn – which you’re at risk for with foil. If you freeze the individual rolls unbaked, you will need to follow the same baking instructions as if you were baking a whole batch. Just put them in an 8×8 pan or loaf pan. They do need to fully thaw before you can bake them, however, I recommend leaving them out in a warm area in your pan until they’ve fulled thawed. Once thawed, preheat your oven. In a stand mixer, add the salt, sugar, and flour. Slowly add the yeast mixture and egg, and mix using a dough hook. Once the mixture starts to come together, add the butter one tablespoon at a time—beating well between each addition of butter. Once the butter is fully incorporated, knead for about 10 minutes. (If you do not have a mixer with a dough hook, you can mix by hand and knead for about 10 - 15 minutes.) Form the dough into a ball. Lightly grease a bowl, place the dough inside, and cover with Glad Press'n Seal. Allow to sit in a warm, dry place for about an hour or until doubled in size. Roll out the dough until it is about 14 by 24 inches. Try and get the edges as straight as possible. Spread the filling evenly on the dough, Sprinkle the nuts over the filling if using. Cover the pan with aluminum foil and bake for 25 - 30 minutes. While the rolls are baking, make the icing. Heat the butter on medium-high in a skillet until the butter browns and smells nutty. Transfer to the bowl for the mixer and freeze for about 10 minutes. It should be partially solidified. Add the cream cheese, then beat until smooth and creamy. Add the salt, vanilla, and powdered sugar, and beat until smooth. Add the heavy cream to loosen. Allow to cool in the pan for at least 15 minutes before glazing. Serve warm. Important: To freeze, you can place the unbaked rolls on a parchment-lined baking sheet and freeze. You can also wrap the rolls individually or in a baking pan using the Press'n Seal, which will create an airtight seal. Freeze for up to a month. To bake, thaw the rolls completely. Once thawed, preheat the oven and bake as normal. You can also "parbake" the rolls in a baking pan at 350 degrees F for 12 minutes, or until set and just starting to take on color. Allow to cool completely, then wrap with the Press'n Seal. To bake, remove from the freezer, thaw, and bake at 350 degrees for 15 minutes. I made these rolls today, so delicious! 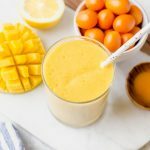 Thank you for posting the recipe. These look amazing, and I’ve never come across banana flavored cinnamon roles before, I’m very eager to try them out. 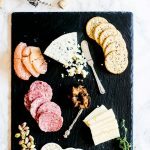 I’d like to make these for a family brunch, but I was wondering if you think it would be OK to refrigerate the sliced and proofed roles in their 13×9 pan, overnight and simply pop them into the oven the next morning once they reach room temperature? Hi Peter, that is a tricky one! I would be concerned that the rolls would become overproofed, but I’ve never tried it, so who knows! Maybe roll and slice them, freeze them on a baking sheet until mostly solid (then transfer to something else if you need the freezer space). In the morning, thaw them near the oven and when they are mostly thawed, place them in the pan until they fully thaw? Or perhaps just put the dough as a whole in the fridge overnight. In the morning roll out and spread the filling then shape and cut. It shouldn’t be too bad if you make the filling overnight too – I’d just warm in the microwave if the butter solidifies.